Russian President Vladimir Putin met with Indian chess player and World Chess Champion Viswanathan Anand and Israeli champion and title contender Boris Gelfand. On May 30 Moscow hosted the FIDE World Chess Championship final, in which Viswanathan Anand defeated Boris Gelfand, retaining the title of the strongest chess player in the world. PRESIDENT OF RUSSIA VLADIMIR PUTIN: Good afternoon, gentlemen. It gives me great pleasure to welcome you. First of all I want to congratulate both of you on your brilliant results and a great game that I am sure gave great enjoyment to chess fans around the world. It was an equal fight. Of course, Mr Anand scored an important victory and I am happy to congratulate him. This is not the first time Russia hosts a FIDE world championship. I would like to thank both of you for agreeing to play in Moscow, at the State Tretyakov Gallery. Both India and Russia, as well as the former Soviet republics, have the leading chess schools in the world. In general, chess and achievements in chess have always been a source of pride for our nation. It is no coincidence that Boris comes from the former Soviet Union, from Minsk. I am flying there tonight so I can pass on your regards to Minsk. We have a special relationship with India and I am very pleased that an Indian national is today a leading chess player in the world. I very much hope that this will not be the last time you played together and that you will play in this country again, in different cities and not only in Moscow. 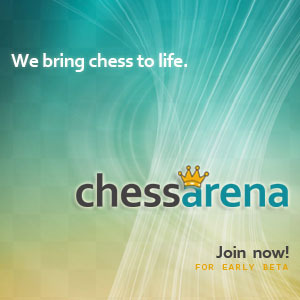 Such events will certainly help to promote chess, not only in Russia but throughout the world. I hope that you were happy with the conditions created for you here. As far as I know, you didn’t have any complaints about the organisation of the tournament. I congratulate you once again. VISWANATHAN ANAND: Thank you very much. I have a long connection with the Soviet Union and Russia. In fact, I grew up playing chess in the Soviet Cultural Centre in my hometown. VISWANATHAN ANAND: I’ve been coming to Moscow from the mid-1980s to practice chess and I must admit that I have benefited immensely from interacting with Russian chess players and the school of chess here. I’ve always enjoyed my visits to Russia and this time especially the organisation was superlative. We played in a very beautiful gallery, the Tretyakov. Overall I would say I enjoyed the Russian hospitality a lot this time. I would like to thank Mr President for taking the time to meet us. For us, this is a great honour. VLADIMIR PUTIN: Thank you very much for your kind words about Russia. I hope that you will visit Russia and our cities many times in the future. You are the world champion, and I am sure that chess fans, and other people as well, will always enjoy any activities with your participation. BORIS GELFAND: I grew up in Minsk and every time I came to Moscow I visited the Tretyakov Gallery, a wonderful museum, and I could not even dream that one day I will play in the world championship final in this wonderful museum and a treasury of Russian art. In recent years, Russia and especially Moscow has once again regained its position as the capital of the chess world. And this match, which I think was the best organised match in chess history, will give a new impetus to the development of chess, because millions of people worldwide watched the game and children will grow up watching these matches. I am very happy that there were people who took the initiative to hold this match in Moscow, the chess capital city. And the fact that you are meeting with us, Mr President, is evidence that chess is greatly appreciated and loved in Russia. Thank you. VLADIMIR PUTIN: Boris, I want to add that everything I said to Mr Anand fully applies to you as well. We will always be happy to see you in Russia. I know that you live in Israel now. We have special relations with this country as well and many immigrants from the former Soviet Union and Russia are now living in Israel. We highly value this potential. I hope to meet with you again both here and in Israel. I have an invitation from the leadership of Israel to visit the country as there is a very good reason. So, I hope we can meet here and in your new home country. Once again, congratulations to both of you on these remarkable achievements. I think this is the achievement of both players. The competition was intense and equal. The history of chess has seen many different situations, but here you were neck and neck. That is certainly impressive. Once again, all the best to you both.